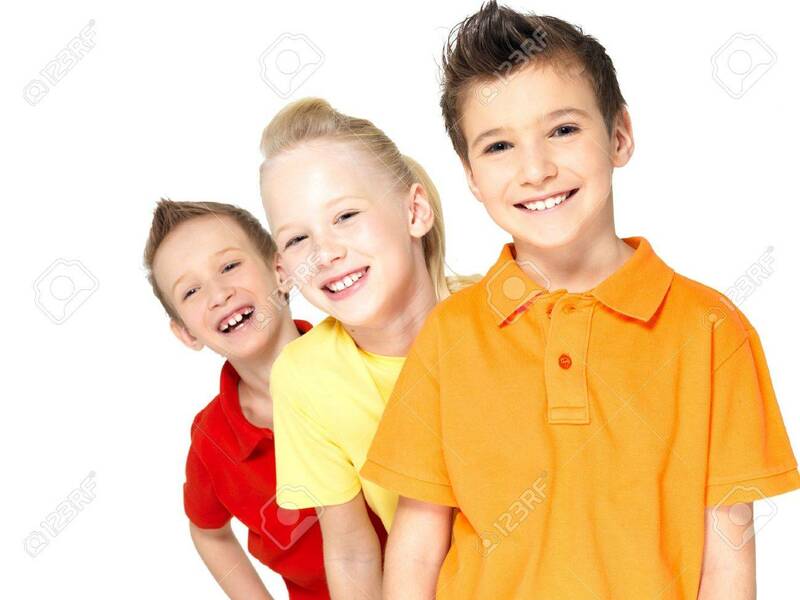 Portrait Of The Happy Children Isolated On White. Schoolchild Friends Standing Together And Looking At Camera Royalty Free Fotografie A Reklamní Fotografie. Image 17853701.